Elis Fredrik Elmquist was 26 years old when he enrolled at the University of Glasgow in 1899, where he spent one year studying Naval Architecture. Elmquist was born in Sweden in the city of Orebro. He was educated in Sweden, and travelled to New York, aged 19. 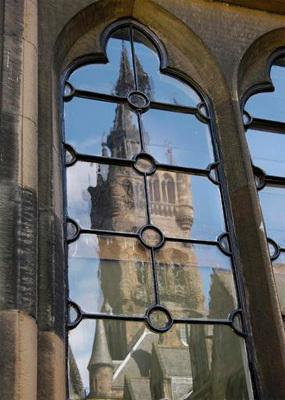 At the University of Glasgow, Elmquist spent one year studying under Sir John Harvard Biles before returning to Sweden, where he would become an influential figure in the Swedish Navy. Elis worked as a torpedo engineer in 1908 in Karlskrona, before being promoted to Special Engineer of the Second Degree in 1925. In 1933, he became a Chief Naval Engineer of the First Degree, one of the highest ranking and most influential posts in the Swedish Navy, which saw him work closely with the King of Sweden, the Swedish Ministry of Defense, and other high ranking politicians. Elmquist died in August 1943 in Stockholm.